New York City, New York is famous for its theatres. The city contains 39 theatres with over 500 seats, and many more smaller theatres. 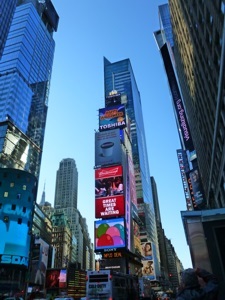 The majority of these are situated around Broadway which is a wide central avenue running through New York City.